A collection of various ADVMoto items including, but not limited to stickers, patches, bottle openers, coffee mugs. 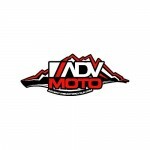 Dress up your cases or window with these ADVMoto vinyl die-cut decals. 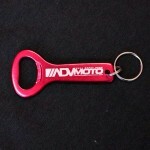 The ADVMoto Bottle Opener is here! Available in two colors with the signature ADVMoto logo, this stylish bottle opener is the perfect way to start your post ride festivities.